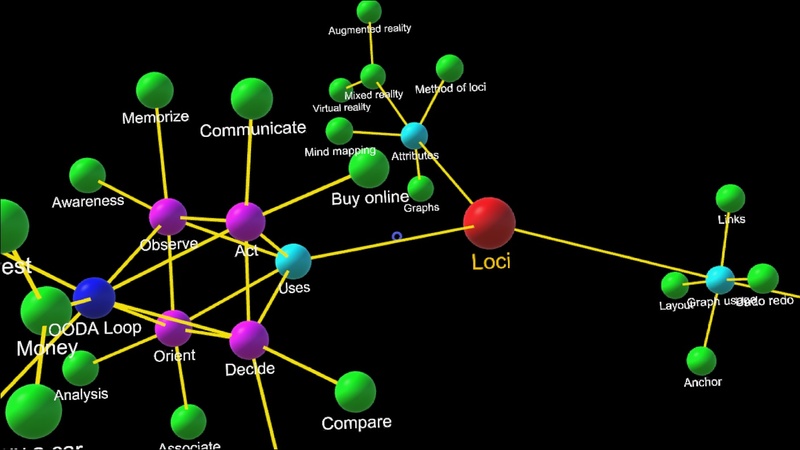 Loci is a general graph editor that supports mind map graphs. Graphs consist of nodes and edges. We call nodes with locations loci, and edges associating loci we call links. Many items in life can be understood using graphs. From molecules to web page links to friends of your friends, you can think of things as the nodes, and relations between them as the links. Graphs are used in mathematics, physics, and informatics as underlying representations for solving problems. 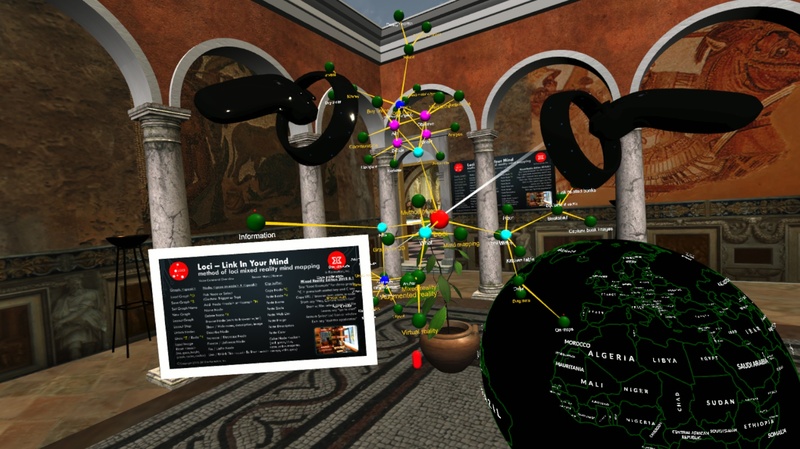 Graph data structures are used for 3D games to manage the application of transformations, and Loci itself uses such a scene graph to draw all the things it shows. Most mind map software requires a central concept node, and links to other nodes, with no node being unlinked, and all being directly, or indirectly connected to the central node. Loci does not require that. Nodes can be solitary, or multiply connected. In this way we support the analysis process from end to end. You can make unlinked notes for things as you observe them, or your ideas as you come upon them, then orient your thoughts by linking them together to make sense of them.